Ford built a one-of-a-kind Ford Mustang Bullitt and is using it as a fundraiser for one of its favorite charities. 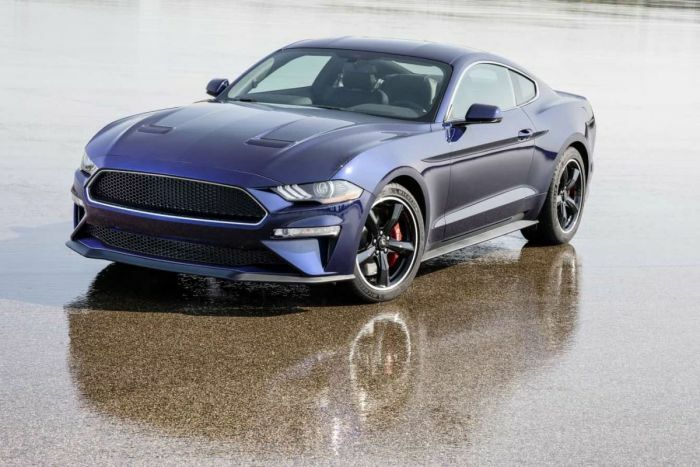 Ford has created a unique 2019 Ford Mustang Bullitt in a phenomenal Kona Blue as a fundraiser to help the Juvenile Diabetes Research Foundation. The 480 horsepower one-of-a-kind sports car was unveiled as part of Ford’s Woodward Dream Cruise events. As of now, all of the other 2019 Ford Mustang Bullitts will be Dark Highland Green. Ford and JDRF will start selling up to 60,000 raffle tickets at $10 each. The raffle will be open until November 9, 2018. The winner will be selected November 13th. According to Ford, “The JDRF Mustang Bullitt comes with unique gray wheels, and its Kona Blue exterior is carried inside with blue cabin stitching. It features the 2019 Mustang Bullitt’s high-performance add-ons – including the performance-tuned 5.0-liter V8 churning out 480 horsepower for a top-end speed of 163 mph.” Much like the classic Bullitt Mustang, the Kona Blue model features minimal badging, a blacked-out grille and special white cue ball shifter. Ford has been a partner with the Juvenile Diabetes Research Foundation since 1983 and has already raised over $58 million for the foundation. It is a personal mission for the Ford family. Edsel Ford II has a son, Albert, who is a Type 1 diabetic. Edsel has said in the past that Albert wears an insulin pump to manage his disease. Edsel and his wife Cynthia donated $1 million to the Southeast Michigan chapter of JDRF, in 2015. Edsel has spearheaded a number of fundraising drives for the foundation. In 1998, Ford Motor created the Ford Global Action Team (FGAT). Tens of thousands of Ford volunteers have raise more than $3 million annually for the past 15 years, through special fundraising walks and other activities. A number of special one-of-a-kind vehicles have been auctioned through Barrett-Jackson and other auction houses over the years to raise money to help find a cure for diabetes. Two of the original 2005 Ford GT supercars from the Ford Motor Company collection were sold through RM Auctions, in 2009, with a portion of the proceeds benefitting the Juvenile Diabetes Research Foundation. The special JDRF Kona Blue Mustang Bullitt should raise over $600,000, if all the raffle tickets are sold. And you might actually win one with the purchase of a $10 raffle ticket. Raffle tickets are available online at www.onecause.com/jdrfbullitt until Nov. 8; online orders end Nov. 9.